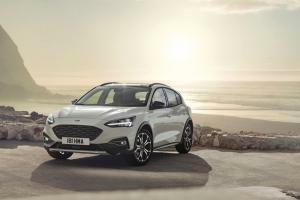 The new Ford Focus, unveiled today, will be priced from £17,930 when it goes on sale later, with first deliveries expected to arrive at dealerships in September. 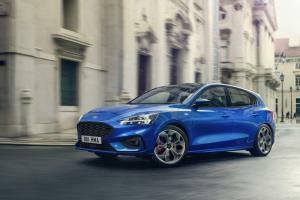 Update: You can now read our review here: 2019 Ford Focus Review. 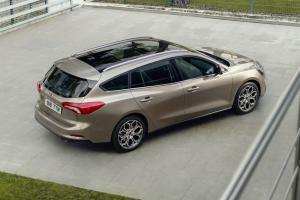 Five-door hatchback and estate body styles are offered, in a range that starts with the Style model, said to be £2,300 below the asking price for the old model. Despite its entry-level positioning, the Focus Style includes 16-inch alloy wheels, air conditioning, DAB digital radio, electronic parking brake, autonomous emergency braking, lane-keeping aid and hill start assist. 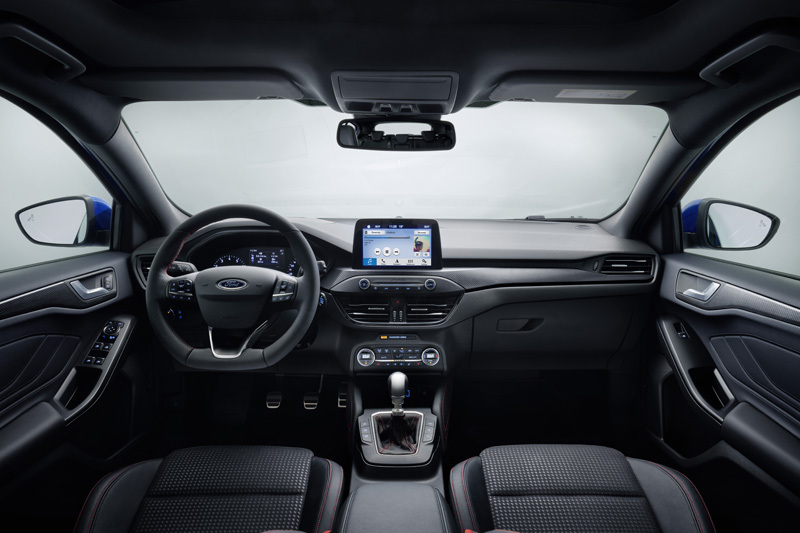 Zetec models start at £19,300 and add Ford’s Sync3 media and infotainment system with a 6.5-inch touch-screen, complete with both Android Auto and Apple CarPlay, plus cruise control, speed limiter, front fog lights, and the ever-useful QuickClear heated front windscreen. 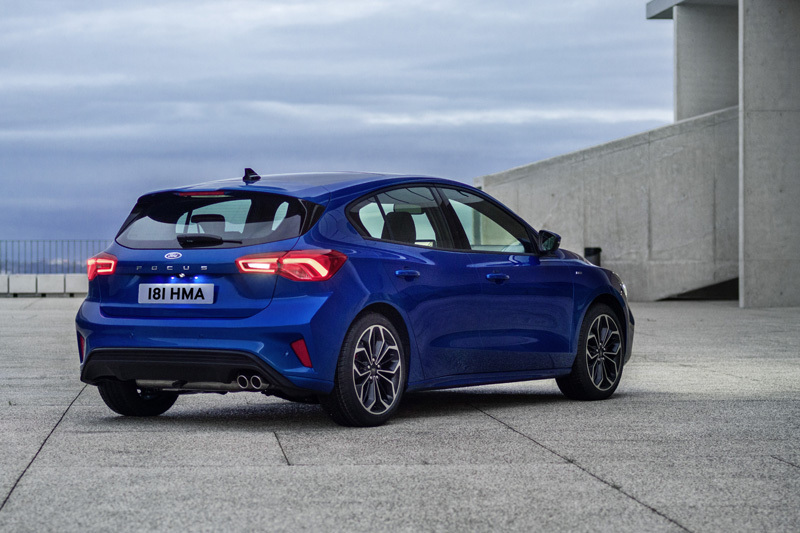 ST-Line models bring a sporty edge with unique grilles, twin tail-pipes and a rear spoiler, while the interior gains a flat-bottomed steering wheel, black headlining, an aluminium gear knob, alloy pedals and red stitching. It’s priced from £21,570, although for £24,050 the ST-Line X model goes further with 18-inch alloy wheels, red brake calipers, and a few extra goodies from the Titanium model. Speaking of which, the Titanium includes front and rear parking sensors, heated front seats, dual-zone climate control, keyless entry, an 8-inch touch-screen plus satellite navigation. 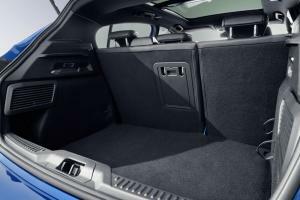 It starts at £21,550, with a Titanium X option at £22,820 that adds part-leather trim, power driver’s seat, privacy glass and 17-inch alloy wheels. Topping off the range is the £25,450 Vignale, with its unique front grille, 18-inch alloy wheels, full LED headlights, leather upholstery, head-up display, reversing camera, heated steering wheel, and a 675w B&O Play audio system. 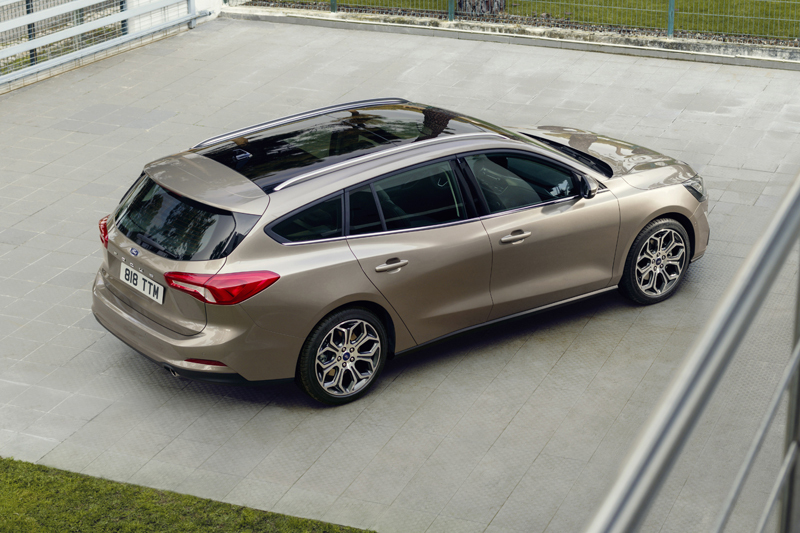 A more rufty-tufty model, the Focus Active, will join the range later. Power for all of this comes from a range of petrol and diesel engines. 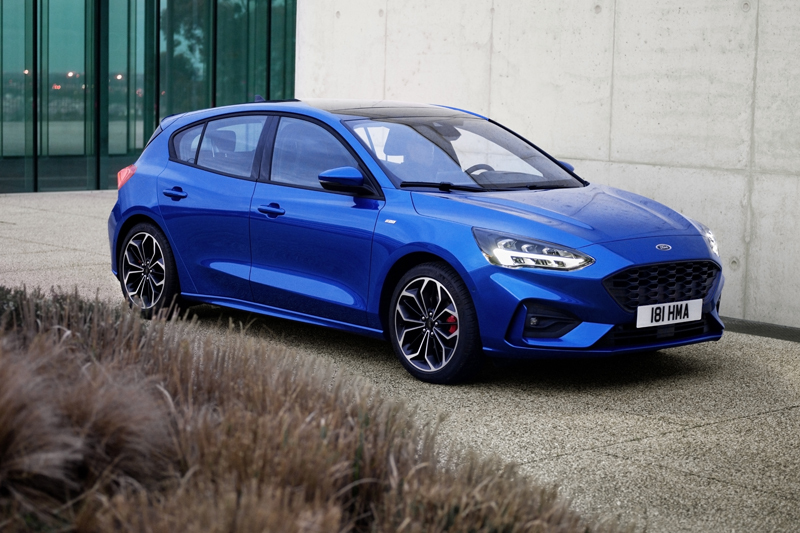 Ford’s 1.0-litre Ecoboost is available in 85, 100 and 125PS power outputs, while a new 1.5-litre unit delivers either 150 or 182PS. 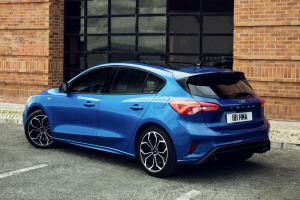 Diesel options arrive in the form of Ford’s 1.5-litre EcoBlue engine in either 95 or 120PS forms, both delivering torque of 300Nm, plus a 2.0-litre EcoBlue unit that offers 150PS and 370Nm. Ford’s six-speed manual gearbox is said to feature improved shift quality and reduced noise, while a new eight-speed automatic will be offered on 125 and 150PS petrols, plus 120 and 150PS diesels. A mild hybrid set-up is expected to follow later. 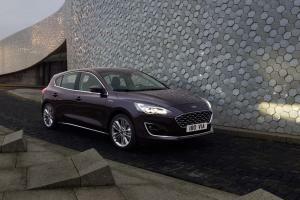 The new Focus is the first model to make use of Ford’s new C2 platform, and while lower power models will continue with a twist-beam suspension configuration, others will use a new fully independent set-up that the company claims is high on engagement and refinement, particularly with regard to noise isolation. 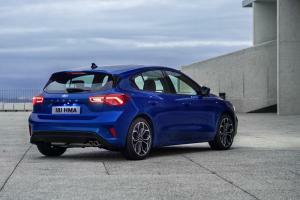 The new car will also feature the company’s Continuously Controlled Damping system that monitors steering, braking, suspension and body movements every two milliseconds, altering the damping parameters to match. In fact, it’s just the first of many new technologies to make their way into the new Focus, together with a head-up display, adaptive front lighting system with predictive curve light and sign-based light, each altering the beam pattern to suit prevailing conditions. 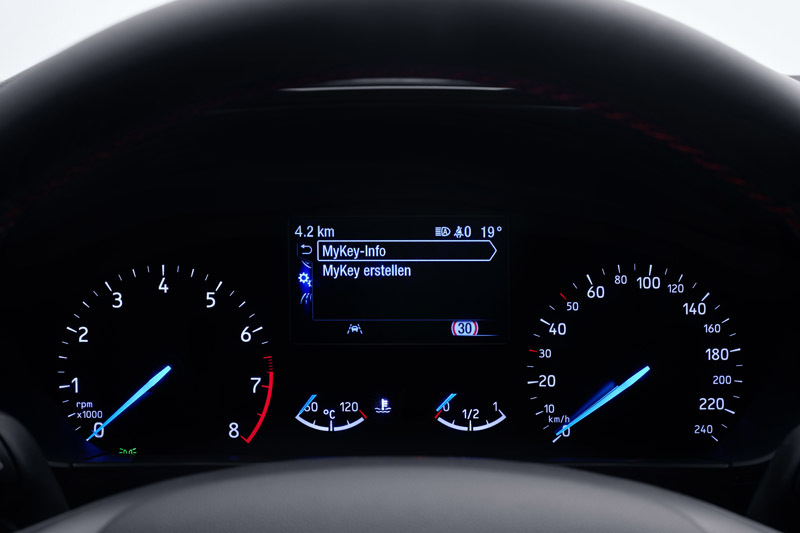 Adaptive Cruise Control now functions up to 125mph and can react to speed limit changes from gantry signs, while also providing full stop & go functionality by monitoring the vehicle in front, and lane centring to keep the vehicle within its lane. 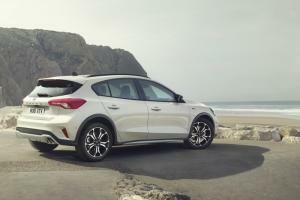 Active Park Assist 2 now works in conjunction with the automatic transmission to shift between drive and reverse as necessary, and is said to be able to park by itself in spaces just 110cm longer than the car. Of course, the full complement of safety gizmos are also available, such as pre-collision assist with pedestrian and cyclist detection, evasive steering assist, blind spot information and cross traffic alert.